By definition, corporate innovation teams need to move faster than the organizations that support them. Large, complex enterprises need a vehicle to keep up with the open market. That’s why companies, even ones with decade-plus-strong R&D operations, are isolating innovation from their core business initiatives. These programs often take the form of “labs,” “sandboxes,” and partnerships with fellow corporations startups. The change that’s about to happen is unfathomable—but it’s happening. Think: artificial intelligence, drones, self-driving cars, virtual reality, robots, and automation. Warehouses will be safer for people, with robots handling difficult tasks. Drones will help deliver medical supplies in emergencies, faster. There will be fewer accidents on the road, and people will have more time to relax and enjoy a better quality of life. To keep up with the pace of the open market, companies need to do more than run experiments—they need to integrate their corporate innovation initiatives into their core businesses. They need to be what the RocketSpace team calls enterprises of the future: relentlessly adaptable, willing to challenge boundaries, and positioned to outsmart the risks of inaction. The big question is how to navigate this transition. David Beath, a corporate innovation leader who has run teams at Jumeirah Hotels in Dubai, DBS Bank in Singapore, and at IDEO in London, Singapore, and Duhai, has devoted his career to navigating this challenge. Today, he heads up U.S. operations for SmartUp, a technology platform that facilitates peer to peer knowledge sharing within large corporation. In the following Q&A, he shares his thoughts about transitioning corporate innovation experiments into core lines of business. RocketSpace: Tell us a little bit about your background and how you landed in the world of corporate innovation? What is your current role at SmartUp? David: I fell into the technology and innovation space in the late ‘90s. The dot-com boom was kicking off around the world. I was fortunate enough to come across a company called LastMinute.com, in their early stages, in London. At the time, I was managing operations for a major hotel group. LastMinute approached me to sell our extra room inventory at a discount. They gave us the ability to sell it using the Internet. That was the pitch that sold me. At the time, Expedia, Priceline, and Travelocity were in the nascent stages. I knew nothing about the Internet and barely emailed. I found it as confusing as faxing. But, diving into that business in my twenties gave me a real opportunity to be able to see how entire industries were changing, and how, as an individual, you could have an impact on that. From a supplier perspective, it was fascinating. But more than anything else, what it taught me was that you can dream big, with technology, and execute at a relatively low cost. That was an exciting realization. It happened to me in London, at the very beginning of the Internet. I wanted to continue building the world I wanted to see and recognized that corporations would give me the vehicle to make that vision happen. That’s what triggered me thinking about bringing these skills into the corporate space. In my current role, I’m actually coming out of corporate innovation and re-entering the world of startups. The reason why I wanted to take this approach is that technology has changed so much. I felt that corporate environments do not have the breadth and speed necessary to be able to experiment with technologies being used in the open market. The founders who set up SmartUp were also the founders of LastMinute.com. Their original vision was to create a resource for founders to be able to access the knowledge that they need to build successful businesses. Having been in the corporate space, I recognized how valuable SmartUp could be in distributing information through large, complex organization. 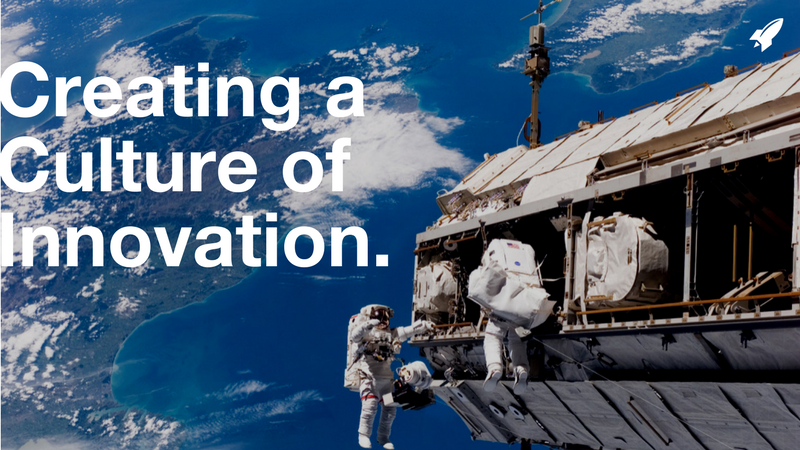 I saw it as a marvelous way to scale innovation in a way that businesses needs. It puts knowledge in the hands of individuals across entire businesses. Think: how to raise funding, how to design your own bitcoin, how to use new ways of working in the world, agile methodology, foundations of human-centered design, etc. I saw SmartUp as a way to bridge the gap between business experiments, through accelerators for instance, across the entire organization. In many ways, that perspective sparked the business that we run today. RocketSpace: Can you tell us a little more about the “gap” to which you’re referring? David: My answer to this question begins with the time I spent at IDEO. It’s a fascinating place to work and unique in the sense that the organization really focuses on solving others’ problems. I was there for seven years, and I took this unique culture for granted. When I left IDEO, I joined DBS Bank as head of innovation management. Immediately, I realized that the time that we were able to dedicate to problem-solving at IDEO just wasn’t available. The reason? All businesses of today are focused on being businesses of today. Leadership needs to focus on the core institution, which is arguably quarterly results, demonstrating profits, etcetera. Those metrics don’t really drive innovation. They’re the result of innovation, after the long-term, but they are not the drivers of innovation. That was the crux of the challenge that we experienced at DBS. Some teams were too operationally-focused to bring innovation into the core organization. So we started to work with a number of external accelerators. There was a commitment to a culture of learning, but the challenge was that entrepreneurial thinking resided there. By moving a bit of our strategy to our innovation portfolio, to those incubators and accelerators, we may have made headway in getting great products and services delivered, but what we weren’t doing was actually bringing that culture back to the organization. To me, that’s still where the gap is. I think there are very few businesses, especially legacy organizations, that have been able to bridge that gap well. RocketSpace: Can you tell share what businesses you think are doing that well? And perhaps, what steps they’ve taken to really bridge that cultural gap, between the sandbox of innovation, and, innovation as part of the entire business? David: I think I have a funny point of view on this. I think there are a couple organizations that are doing fascinating stuff. Capital One in the United States, for instance, is in the middle of transforming from being a bank to being a technology company. The way that I make inferences about organizations’ journeys. What I noticed about Capital One is that they are hiring thousands of engineers. There aren’t that many banks in the world who are hiring that many engineers. They’re realizing that customers are changing and therefore, the company needs to meet the customer where the customer is at--through a mobile device or other piece of technology. Consumers of financial services products are not being driven by social media experiences—they’re being driven by technology experiences. I’m not 100% clear about their transformation strategy, but what I can see is that they’re bringing the right people on board, in addition to re-skilling a lot of people internally that were previously few and far between in banks. One example of this idea would be taking an analyst role and turning the analysts into product managers, perhaps, who can lead particular initiatives through the business. That kind of change is extraordinary and brave. It means that you’re taking people away from running the business of today. It means risking getting beaten up by analysts in the short-run but making a play to jump ahead of the competition and play for the future. That takes brave leadership. It originates from the CEO. I haven’t been at DBS Bank in over a year, but from what I see, the CEO is driving the organization forward. The company was just voted the best digital bank in the world by Euromoney. A lot of that comes down to the culture we aimed to build organization-wide--a culture in which we experiment and try to understand a problem before diving in to solve it. David: They empower people within their organization to take the lead but also source external input to expand their perspectives. They empower people within their organization to lead--80% of training comes directly from peers. People can come in and truly express what they know. This approach helps employees move the organization forward, on their terms. On organization to model is Amazon. Jeff Bezos talks about imagining every day as “day one.” We need to behave like it’s Day One, we need to be customer-obsessed. I think, again, Amazon could very quickly have gone the way of perhaps other ecommerce businesses, from the early 90s. And, they’ve managed to maintain their market leadership position by constant innovating, constantly looking at the customer and trying to understand what their needs are, and actually using that not to actually respond, but to predict where their business should go. And they’ve made some pretty big bets, and they’ve been right with those bets. That’s something that’s been impressive to look at. RocketSpace: What role does knowledge management a role in translating corporate innovation into an organization’s core culture? David: Knowledge management isn’t the “holy grail.” The original purpose of a sandbox, and this was a principal that we followed at IDEO, was to take a group of people, run projects, and deliver an innovation outcome. All the while doing that, we tested out what a future organization could look like. We’d set up the vision for the innovation sandbox, like a startup, at a reduced size. We would play it through 20, 30, or even 40 people. We would create an atypical environment and culture, solely designed around the ability for the company to innovate with that small group. That culture is made up of three things: people, processes, and structure. Within people, you’ve clearly got leadership, training, incentives, etcetera. Within process, you have what you are actually going to do and how you are going to do it. What organizations need to do, when they scale innovation across an organization is train people. I can take you through a hackathon that will get you super inspired and really excited. But when I drop you back into the workplace, within a week you’ve forgotten it all, because the workplace isn’t designed to now deal with you, if that makes sense. Dreams get shattered because innovators feel stuck in operationalizing their ideas. David: If leadership aren’t on board, that’s going to be your ultimate point of friction. But, there’s a certain belligerence or certain sort of fear mongering that comes with a little bit of corporate innovation. If we don’t do this, we’re going to die. But that doesn’t really work. I think they understand that. I think what they need to do is, what we experimented with and had some success with at DBS, was actually giving leaders the tools, showing them how to lead innovation teams. Because, essentially a leader in a bank is somebody who’s brilliant at running a consumer bank. Or, the retail branches. Or, the treasury and markets desk. Right? That’s what they do, that’s why they’re there. They’re not there, they didn’t come from a background, of understanding how to lead creativity, and how to lead experimentation, and how to deal with failure when it’s on a small scale. Scalability with innovation comes from a willingness to learn. The RocketSpace team would love to hear from you. Drop us a line if you’d like to be featured in an upcoming corporate innovators Q&A. 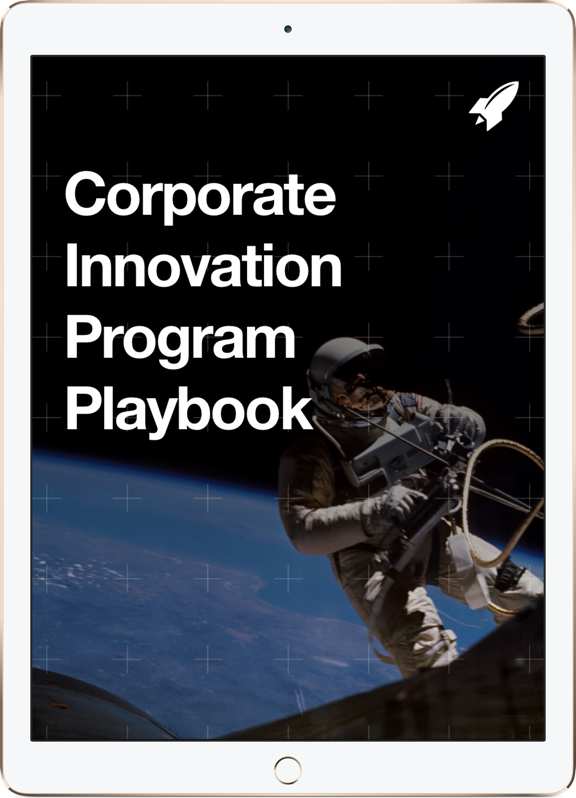 If you’d like to brainstorm ideas for how to scale corporate innovation within your organization, RocketSpace’s team is here to help brainstorm.